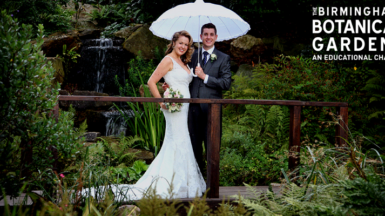 You are invited to join us at the Birmingham Botanical Gardens on Sunday 17th February 2019 for our annual wedding fayre. Whether you are newly engaged or well into the swing of wedding planning, view our beautiful event suites dressed for ceremonies and receptions, set within fifteen acres of landscapes and stunning blooms. Sample delicious delights from our award winning caterers, Ampersand, and meet our wide range of wedding suppliers, on hand to give you fabulous inspiration for your special day. From stationers and florists to venue dressing and wedding photographers, there will be a variety of wonderful exhibitors on hand to help in planning your wedding.